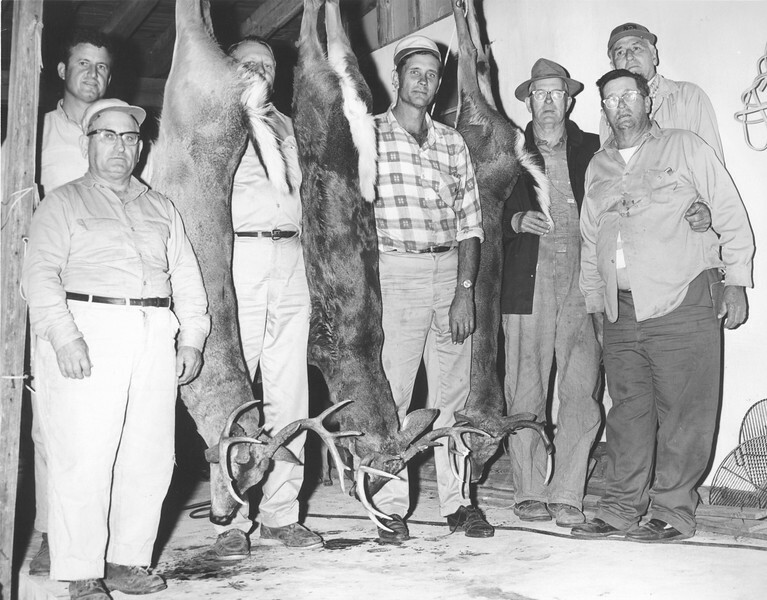 DEER HUNTERS - With proof of their hunt - two eight-point and one 10-point buck - left to right , are: Doc Griffin, Dewey McGee, B.A. Warren, Clyde Mathis, Roy Gaskins, Dewey Mathis and E.L. Harkins. The center deer was field-dressed and weighed in at 180 pounds. The one on the left was estimated a little heavier. Many hunters reported good success with heavy, fat animals. The hunter who bagged the eight-pointer on the right, Elija Stone, was missing from the picture.